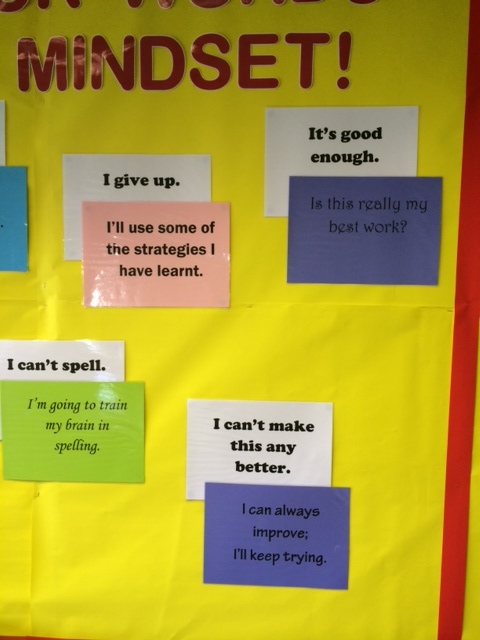 This is a brief post, but I wanted to share this great display that I saw whilst getting ready for open evening this week. 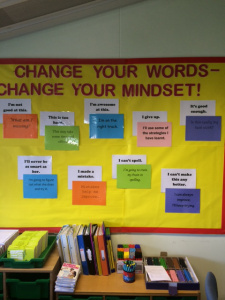 It was in Carole Marsh’s classroom – Carole is our SEN Coordinator at school and got the idea for this display from twitter (can’t remember who from, but thank you if it was you). 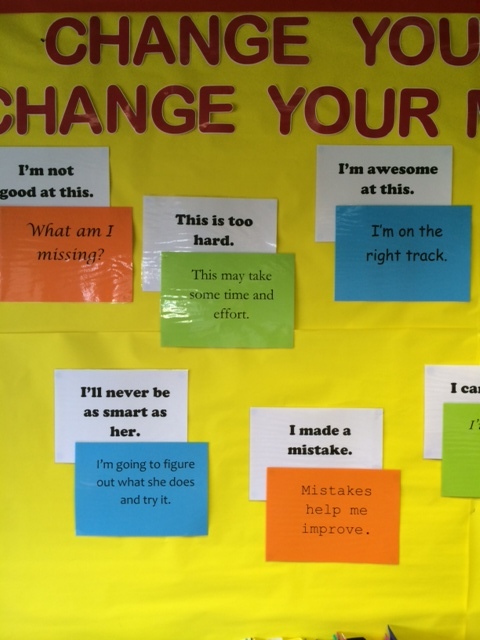 The display shows how by making small adjustments to our language, we can foster more of a growth mindset with our students. This entry was posted in Uncategorized on October 5, 2014 by egschoolsnetwork.